A guy i work with had the in person interview/medical mid April. He got a call a few weeks ago offering him a job and was told to plan for a fall course. Have the calls gone out for June 18th? Heard the gs date wasn't a 100% guarantee.. I know of some OTS candidates that were called last week for the June 18th PIT course. That seems strange they would offer him a job without a start date. I think they wanted to get away from that 'pool' type situation where offers/promises were made and then the PML started. The late april GS, was almost all OTS. Only 3 jazz, 3-4 sky, 1 GGN, out of 37. I believe 10 from encore, 5-6 porter, a few SWG, and forget the others. (I was in it) Only have college diploma and 5500hrs, a lot of it is pic on multi twin turboprop if that helps. Just got the e-mail stating my file was on hold for 12 months. Looks like a pool e-mail to me. Went through the whole process, including medical more than a month ago. Anyone got this before? And what should be expected? Never heard of such an answer before. Thank you for sharing your thoughts. I guess their express list is finally starting to make traction as well as the training 'dog days of summer' kick in. Don't fret, just hang tight. Where are you coming from by the way? I got the we are unable to offer employment at this time. Welcome to reapply in 6 months about a month after interview. I am ots. Seems like the 12 month email is better then the one I got. JLA are you with an express carrier? Wonder if that has anything to do with different emails. I did medical and interview over a month ago. Last edited by Sharklasers on Thu Feb 07, 2019 5:10 pm, edited 1 time in total. I don't post here very often, but I went through the interview process about 2 months ago. After I did my medical, the HR lady said if I had any questions to email or call her. Well, I received the same letter about a month ago stating that hiring had stopped for the summer and would resume in the fall and to feel free to reapply if I don't hear anything for 12 months. As I had one job offer already from another company, I wanted to know what this letter meant to make an informed decision, so I called up the HR lady. She was very helpful and what I took from the conversation is that they were going to take a brake on courses for the summer and resume in the fall. Instead of making everybody wait, this email was sent. Further, when courses start in the fall, I got the impression there will be quite a few courses until next spring. I hope this helps! I know first hand that OTS pilots have been interviewing the last few days. The Jazz slowdown has nothing to do with AC and are not interconnected as flow is not 100%. 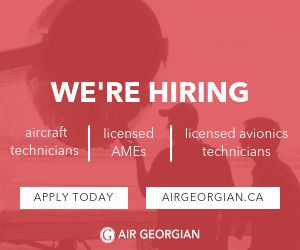 Atleast 200 plus pilots need to be hired in the fall. June 18th gs took some exp and some OTS. Jet time was an asset for the upcoming GS. It will likely be the only GS for the summer. Is it true that issuing conditionnal offers is no longer a thing, but that the company instead sends a 12 month e-mail? The last round of express PFO's didn't include "please reapply in 6 months" in the language. Did yours actually say reapply in 6 months? Because Sky Regional management is communicating to the pilot group that there is only ONE letter that is sent in the event of a PFO. Can you clarify? The last few ground schools seems like Encore/Westjet has a flow through agreement with AC. July 23rd bid will be interesting, it will be a good indicator of future hiring. Any predictions for the July bid? Any predictions would just be a guess. The next bid will start the construction of the airlines' plan for this winter through the summer of 2019. Starting this fall the YVR rouge 767 positions will be moved to YYZ and YUL as 737's are going to take over the Hawaiian routes. Next summer is up to the economists and marketing department to determine how many seats they think they'll be able to sell. Is the Canadian economy headed into recession? What will the competitive landscape look like? Where will oil prices be? Aircraft acquisitions are a lengthy process but aircraft retirements are more adaptable, more A330's, B737's and 787's are arriving but when the A320's, EMJ's and 767's leave depends on whether the airline believes they can make money with them. Once they have this information, the Flight Operations department is responsible for crewing the airline at the lowest possible cost. Over the next couple of bids I believe (pilot) growth will slow as smaller aircraft are replaced with larger ones (B767's for A330's and EMJ's for B737's), the rouge Airbus fleet will continue to grow, the A330 will return to YYZ, and retirements will continue to drive monthly hiring at a steady pace although upgrades at 1-2 years won't be seen. Do they contact our references if there’re going to give you a PFO? Any idea what the time is from interview to hearing back, these days? Any one care to share their timeline from initial interview to GS date?